Easter eggs are specially decorated eggs given out traditionally to celebrate the Easter holiday. The oldest tradition is to use dyed and painted chicken eggs ( in local context, it is a bit like the red dyed egg we eat during baby first month celebration or our birthday), but modern custom is to substitute eggs made from chocolate, or plastic eggs filled with candy such as jellybeans. In recent times, the easter eggs have taken another leap into the fashion world and we blame it on the House of Fabergé, the Russian jewellery house started way back in 1894. House of Fabergé has been famous for designing elaborate jewel-encrusted Fabergé eggs for the Russian Tsars since then, there’s been nothing more covetable at Easter than an over-the-top, extravagant egg. 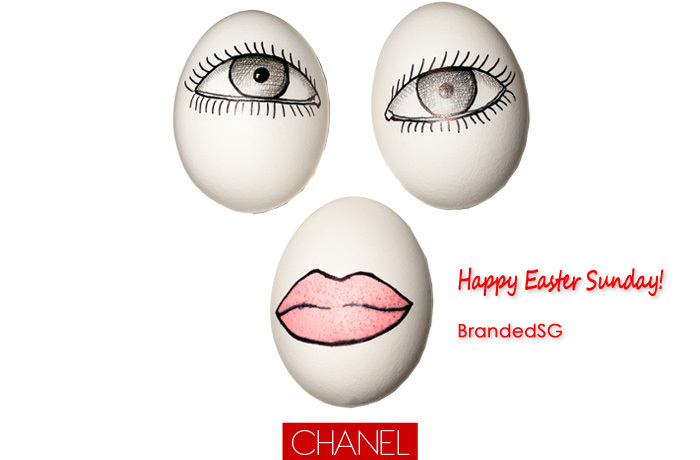 So, did you have your Easter egg in the form of chicken egg, chocolate or Chanel?